This page has tons of ESL PowerPoints for you to choose from. Most hit on common ESL themes, and all are just $0.99 - talk about a deal! I've included ESL blog posts next to games that have them, that way you know what worked for me and other teachers. And take a close look at this large selection - some of the ESL PowerPoints are free! Most ESL students don't know much about geography, but that won't stop them from getting excited over this game! Each game contains 28 slides. Game 1 Try for Free! Two teams are given a category, then shown a letter. Which can say the word first? ESL Students will be on the edge of their seats waiting for the next clue! Each game contains 27 slides. Say It First (Low-Level) Try For Free! One player from each ESL team chooses a card. They can act out the animal, make its sound, and maybe even say a lot more to convince their team what animal they have. But please, don't say its name! 16 Animal Cards on 2 pages in each game! For higher levels, ESL teams can be given 5 points before they even take a card. 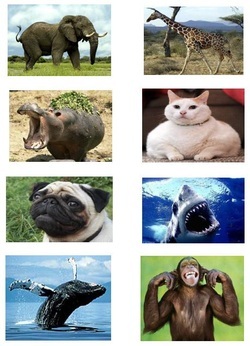 However, for each word they use to describe the animal, 1 point will be taken away. Do you need a new ESL lesson plan this week? Awesome, because that's exactly what you'll find below - tons of ESL PowerPoint lessons. 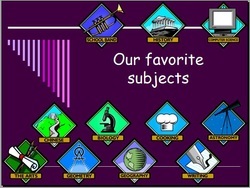 Most are images with vocabulary and English grammar structures. Some have projects associated with them while others have games. Either way, these will take up anywhere from 20 minutes to a whole class, maybe more. To make things easier, I've included links to blog posts that talk about each PowerPoint. If you have any questions, don't be afraid to email me. Thanks! Ready for a fun time in your ESL class, and with a typically boring subject? Action verbs are taught at all levels, and this awesome ESL PowerPoint gives you things like running, hiking, punching, and puking...all -ing words, or happening NOW! They could be out there. They could also be in your classroom today. 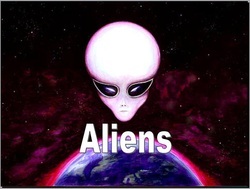 ESL students love aliens, so let them get a little starry-eyed when you show them this super cool ESL Aliens PowerPoint. Does it make your mouth water or your taste buds cringe? Let your students decide! 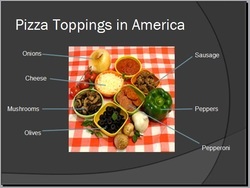 This ESL Food PPT really does a great job showing them all kinds of foods from America. You'll also have some really fun ESL identification games at the end. Say it right. Say it wrong. Just say it! That's the idea behind this slide that higher-level ESL students really get into. It has all the ESL slang you could want, so hopefully your students won't always say 'hello' all the time! It's a duck! It's a pig! No, it's...oh, I don't know! Look, listen, and have fun! 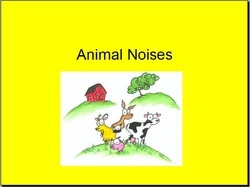 Great for lower-level ESL students, this Animals Noises PowerPoint is a lot of fun when your just starting out on farm animals. Great for when parents watch your ESL class. You'll get 16 different animals and 10 different terrains in this awesome ESL PPT. Your students will 'ooh' and 'ahh' as you show these funny and awe-inspiring images. And don't be afraid to cut up a list of words and make some games - there's a lot of potential with this ESL Animals PPT! The boys will love it, the girls will act like they don't. 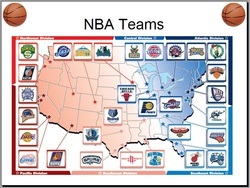 You'll get to see all the great NBA teams plus learn about how the game of basketball is played. Great for the spring playoffs! Get Medieval on your ESL students with this trip around Europe! 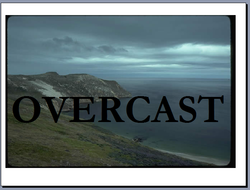 If you're thinking of doing some different themes then you'll want to explore this ESL Castles PowerPoint. Letting students choose a country and a castle they like and coming up with what they'd do if they were king or queen is a great ESL idea! 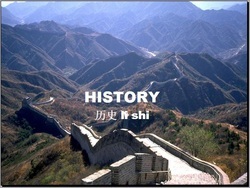 Explore China's history from the first dynasty to the last. Great for students who love China, or hate it! This is definitely one that's better for higher-level ESL learners, but you can adapt it for mid-level students as well. Are you teaching a unit on Chores? I've done that many times and one of the best ways to introduce all the new vocabulary is with this awesome ESL Chores PowerPoint. You'll get pictures plus a lot of progressive grammar, or "-ing" words. Everyone's favorite holiday. Make it your students' today! 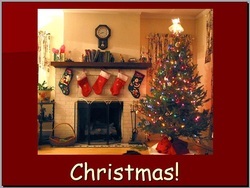 There are complete song lyrics to the classic Christmas songs and a whole lot of ESL Christmas vocabulary. I know your students will have a good time in this class! Are you teaching geography? Maybe your students just want to know where you're from, or not from. 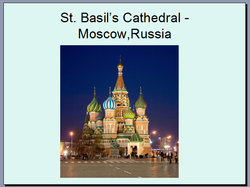 This simple Countries PPT has 12 slides, all with large images and large text. It's perfect for younger learners, so try a copy today! Too cold where you are? 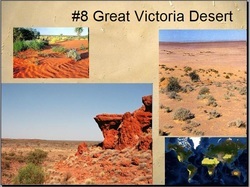 Well, check out the ten largest deserts on Earth! Don't be surprised if your ESL students don't agree on all of them; to be a desert you have to have little rain. 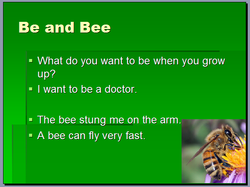 This ESL deserts PPT really shows them a lot of what they've never seen before. Love 'em or hate 'em, doctors are there when we need them. 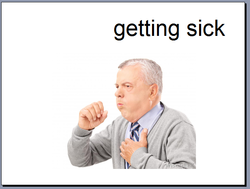 Find out all they can do when you try this fun ESL Doctors PPT. It has some great role play options at the end, and students really get into doing them. Each March or April the Easter holiday comes around. 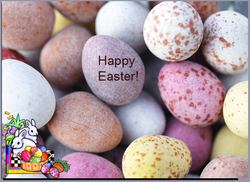 Most schools encourage you to do something for this, so instead of wasting a lot of time, why not get this ESL Easter vocabulary and game PPT? Do your students want to travel the world? I bet they do, and with this mesmerizing ESL Famous Places PowerPoint they can do just that...from the safety of the classroom, of course. 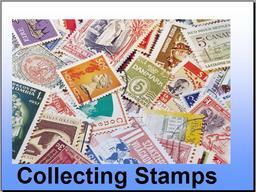 This PPT is just images, but you can easily do a lesson around it. Choose your foods, make your menu, do a role-play. Now that's a class! 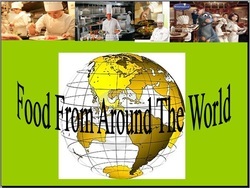 This great ESL Food and Restaurant PowerPoint gives you ingredients as well as recipes. Making a meal is therefore easy, and working with a partner makes it even more fun! Learn about America. Whether you want to or not, your students will! 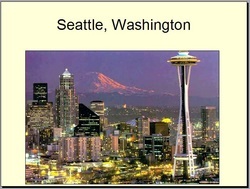 This ESL Geography PowerPoint might seem a bit short, but it's got all the major cities and a few more. Having them plan their own American holiday is easy after they've seen these wondrous destinations. Learn about the world. Many continents are covered, and after you've traveled to America it's time to go global. Have students figure out what foods they'd like to eat and the hotels they'd like to stay in by coming up with a custom travel itinerary. 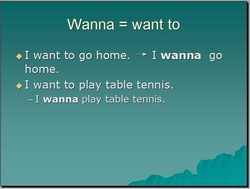 Have a fun time teaching ESL grammar with this PowerPoint. It has lots of gap-fill activities that students enjoy, because they can shout out the answers. Try making a game out of it and adding in your current unit's grammar points. Ghouls. Ghosts. Goblins. What more could you want? 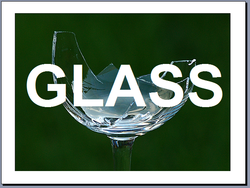 You won't want much with this hefty ESL Halloween PowerPoint that really delivers. My students loved it year after year and it's a great thing to show before your ESL Halloween party. In one corner we've got veggies. In the other we've got burgers. 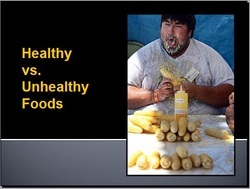 Let the battle begin when you show this ESL Healthy PPT. There are a lot of ESL food PowerPoints out there, but this one really takes the cake and you'll see why when those massive servings come into view. Heteronyms are words that are written the same way but mean different things. 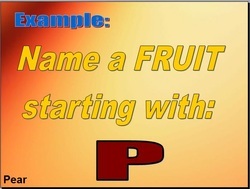 Students often get confused by these, and this English grammar PowerPoint is a great way to tell them what's what. My ESL students were always studying, but they still knew what hobbies were, even if they didn't have any. Teach them a few more with this ESL Hobbies PowerPoint that has new vocabulary. Making a batch of wordsearches or crossword puzzles will be easy after you show them this. Homophones are words that are pronounced the same and may even be spelled the same. They mean different things, however. ESL students can have trouble with these, and this PPT can help. It has lots of slides like this, and a lot more that have words but no examples - you or students can fill those in. Small and cute. Big and ugly. Your students will cringe and squeal, and perhaps you as well! 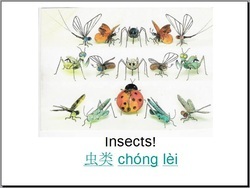 This ESL Insects PowerPoint has everything under the sun, and quite a few under rocks as well. 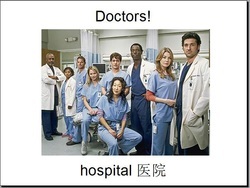 Lots of new vocabulary, presented in both English and Chinese, making it great for lower-level ESL students. It's a tough job market out there. Help your students polish their interview skills, and maybe yours too! This Short ESL Interview PowerPoint is great for giving your students some good roleplay and dialogue ideas. The PPT might go fast, but the presentations will take up a whole lot more time. You'd better get a good one, or you'll not just be eating at KFC, but working there too! But save that for after your awsome ESL Jobs PowerPoint class. Jobs are a great way for students to work in pairs and ask each other questions about their jobs and then make a report to the class. Try it today and find out yourself. 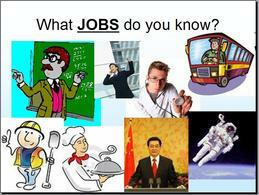 This great vocabulary PowerPoint will show you 40 different jobs! Better start filling out those applications, for crossword puzzle worksheets that is. You'll have more than enough new vocabulary words to last you for a couple weeks when you show this great ESL Jobs PowerPoint. Getting all the wrong answers to "what does he look like" and "what is he like?" You're not alone. Check out this PowerPoint that might just have them get it right. You'll be able to compare different musical artists based on their looks and manners, so start firing away. 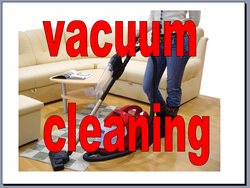 This ESL Machines PowerPoint shows things in the home and outside of it. Transportation vocabulary is discussed, making it good for lower-levels. Make sure you can find a great Rube Goldberg machine video to go along with it; it was always the highlight of my ESL Machines PPT class. 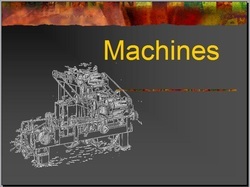 Now that you know many machines, decide which are high- and low-tech. Fun, fun, fun! This one is a bit more difficult but you can adapt it a bit. It's just another way to reinforce those more difficult vocabulary words related to ESL Machines. Teaching older students what things are made of is hard. You have lots of difficult words they can't quite understand. I used this ESL Materials PPT for several years and it cleared those problems right up. Words include: plastic, wool, oil, gold, bamboo, leather, and more! Everyone wants it, but few have enough. 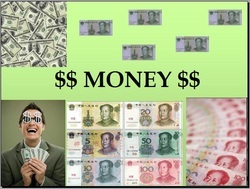 Take a look at the almighty dollar in its many forms when you break out this ESL Money PowerPoint. You'll see lots of different currencies, and even a way to put your and your students' faces on your own dollars. A short introduction to the different music genres. Got your guitar? If not, that's alright, because your students will be learning a lot of new ESL Music vocabulary words. This is a great one to use with higher-level students who can make a musical dialogue of some sort, or even a band! Floods...fires...tornadoes...earthquakes! Time to break out the emergency gear and take your ESL class on an adventure. This cool Natural Disasters PowerPoint will help, and maybe even scare your students too. Some are warm. Some are cold. They're all wet. Which will your students like best? Geography is never that fun, but this ESL Ocean PowerPoint will also show a lot of great sea creatures, boats, and ships. You can get a lot of use out of that ESL Ocean vocabulary if you play your cards right. Give me your hand. Ah, yes, your lifeline says show this to your students! 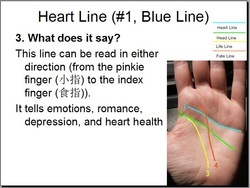 The ESL Palm Reading PowerPoint is a great way to get a dialogue started between the student giving the reading and the one recieving it. And then after that just reverse hands, er, roles! 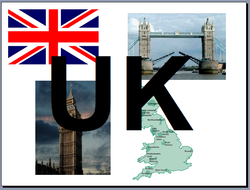 One of the most common vocabulary sets is Places. I taught the subject about a million times, and each time I used images. It made it easier and my students understood things better. Give it a try in your class today! Hit it! This ESL Music Powerpoint is a lot of fun because it shows some awful bands. If you can find some of the songs your class will last even longer, and maybe you can even get some of your ESL students to write down the lyrics as they hear them. You might hate it, but your students know it and love it. Yep, it's Pop Music! Where is it? On, in, under? Find out now! 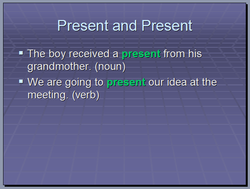 This ESL Prepositions PowerPoint is massive and could take you a whole class. Works really well with one-on-one students or small groups. Consider making some quick and easy ESL Grammar worksheets to accompany it and make your life even easier. Let's make the world a better place for tomorrow. 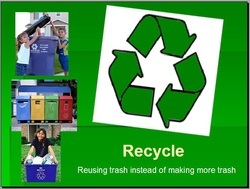 Teach your students today about the value of the Earth with this ESL Recycling PowerPoint. It's short, but if you can find some recycling videos like I did then it will last a lot longer. Some are good. Some are bad. Some are just plain ugly. 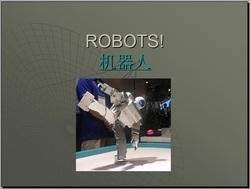 *Batteries not included in this wonderful ESL Robots PowerPoint. It shows a lot of movie robots and then all of their parts, like arms and legs. Getting pairs or groups to then make their own robot is fun and easy. 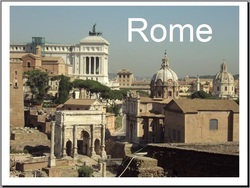 An informative PowerPoint about many modern sites in this ancient city. If you're teaching higher-level ESL students they'll love this one. 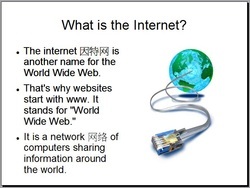 By adding in a little bit of whatever your native L1 language is into this PPT, you could really go a long way. 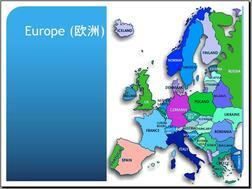 You might learn more than your students in this bi-lingual PowerPoint! This gave me a lot of help my first year teaching English in China, and I'm sure it will help you too. It might seem short, but there are some good ESL activity slides at the end. Many different sports, so many that if you played them all in one day it could kill you. Just look! 60 Slides is a great ESL Sports PowerPoint, and you'll probably be able to get a whole class out of this if you whip up a few quick ESL Sports warmups and a quick endgame. Still not tired out? Well, get back into the game today! 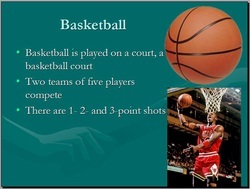 This ESL Sports PowerPoint doesn't have as many sports, but it does have much better pictures. 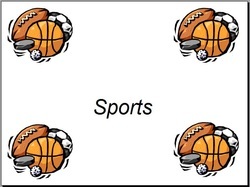 Give your students a different perspective on world sports in your ESL classroom. Is March 17 creeping up on you? 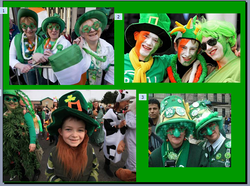 Is your boss pushing you to do a St. Patrick's Day ESL lesson? Hey, don't worry - I have you covered with this fun PPT that has all kinds of animations. Your students will love it, and learn something too! Look, up in the sky! It's your awesome lesson that your students will always remember! ESL students and superheroes are a great match. This lesson is a fun way to give them some cartoon dubbing, dialogue, and roleplay opportunties. You're ESL class will be rockin' big time! It's expensive. They're more expensive. Am I the most? I don't think so! 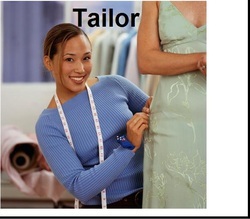 This wonderful ESL Superlatives PowerPoint is a great way to teach superlative grammar with fun and fact-filled pictures. Lower-level and mid-level ESL students all get into it, and so should you. An Introduction to the cards and starting point for activities. Try printing these cards up and cutting them into smaller sets. 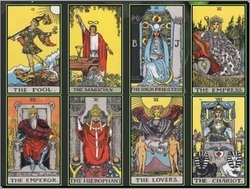 Your ESL students can play fake Tarot dealers and give each other a reading. When they're done you can have them present to the class. Dealer up! Discover Your Future for Free! Is it November yet? Chances are you could care less, but your school is probably expecting some kind of Thanksgiving lesson. Oh, it doesn't matter that they have no idea what that is...and maybe you as well...it just matter that you teach it. Hey, I've got you covered! You know your students use it. Give them a little more info, will ya! This huge ESL Powerpoint will give them lots of facts, but with quite a bit of Chinese characters thrown in to help you out. Great for higher-level ESL students. Got a few old Simpsons DVD's? Sounds like your set for weeks! 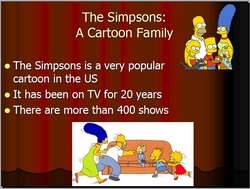 This Simpsons ESL PPT will introduce you to all of the characters, and if your ESL class is small enough you might even be able to get some pair work dialogues done. Who has the most money? Your favorite celebrity, or your friend's? Find out with this fun ESL PPT that will allow you to have a great dialogue when you're finished showing it to them. Just pair up your ESL students and let them choose which celebrity they want to be. It's a great ESL roleplay activity. Teaching some upper-level students the rules of English vowels and phonetics? First, let me say I'm sorry. Next, let me offer you this great PowerPoint that will give you tons of sentences to recite, lots of phonetic script to decipher, and plenty of fun game ideas to make it all work. Time to teach the little ones some weather words? 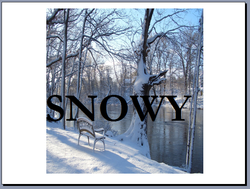 This fun PPT has large images and large text. That means students see things clearly and can shout out the word after you. Just what parents want! Simple weather words will only take you so far. Higher-level ESL students require a bit more mental stimulation, and these words are more complex. Also, we get into measuring temperatures, so you have some math. Good deal! Is it Thai? French? Brazilian? Have a taste and find out today with this cool ESL World Food PPT. You'll learn all kinds of new ESL food vocabulary, which will be great for mid- and higher-level learners. Sure, we all fantasize about it. 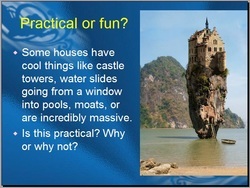 This great PPT will allow you to show awesome and wild houses to your ESL students. Afterward you can make a project of choosing a house and making a design, or make a whole new dream house. So start laying the floor plans today!